- Complete unit made of stainless steel, with powder coated finish. - Dimension: 195cmL x 65~82cmW(with side rail pulled upright) x adjustable from 50 to 70cmH. - Hand crank controlled height elevation, rigid and durable, low trouble rate. water draining PVC fabric for easy cleaning, large bore drain holes at both ends. 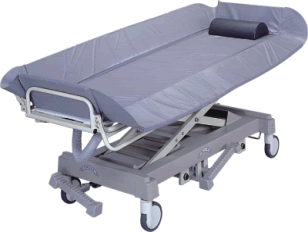 - Both sides side rail may be lowered for easy patient lifting. 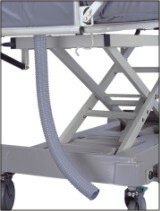 - Head and foot is tilt-able to facilitate water drainage. - Stainless steel braking casters, rigid and durable, versatile and handy for patient delivery. 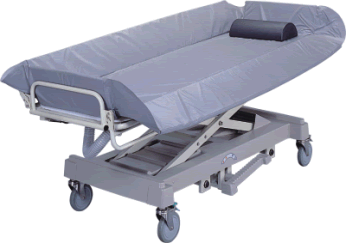 - Used together with patient transfer slide board, move the patient for bathing easily and comfortably. - Dimension: 195cmL x 65cmW x adjustable from 61 to 81cmH. - Hydraulic controlled height elevation. The hydraulic cylinder arerigid and durable, low trouble rate. 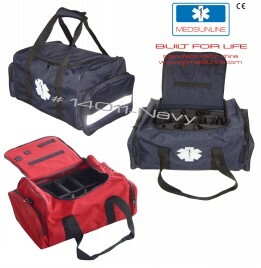 - High density, high strength PVC cushion with inner fiber cotton, easy cleaning, disinfecting exterior, drain holes at both ends. - Base in ABS plastic water resistance. - Stainless steel braking casters. - Custom-made size on request. - Dual hydraulic controlled height elevation. The hydraulic cylinder are rigid and durable, low trouble rate. - Lay flat at both sides for easy patient lifting. - High grade made stainless steel braking casters. - Casters are central controlled brake in all casters, full coverage dust proof cover.